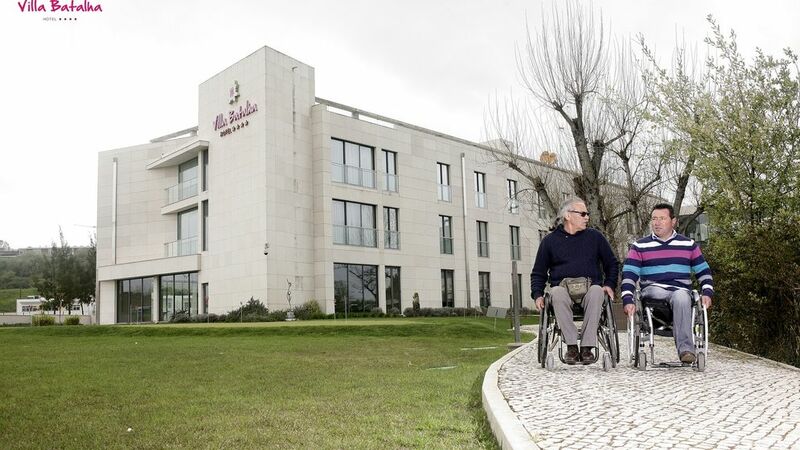 The Hotel Villa Batalha is guided by a policy of inclusion, seeking to gather conditions to be more and more accessible. 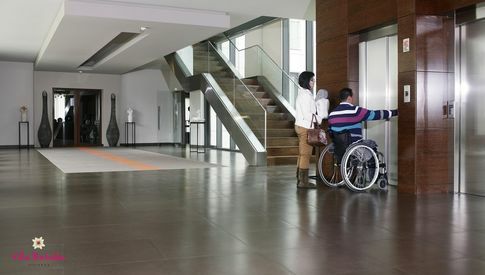 Although it is improving the current conditions, it already has excellent conditions for an accessible tourism, including a conscious team, oriented to the theme and with training in inclusive service.
. 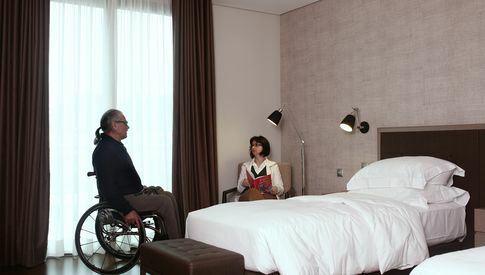 Rooms: Any room can be prepared to accommodate guests with reduced mobility: we have fixed / removable grab bars and chairs / benches for the shower. - Restaurant menu in Braille. - Restaurant menu, bar and room service with symbols of allergens. - We try, more possible, to respond to the specific needs of the culture of those who visit us, without compromising the usual operation of the hotel. - We have strategic partners that allow us to ensure transportation services, daily care, monitoring and tourism services.